Do you work in Coral Springs? 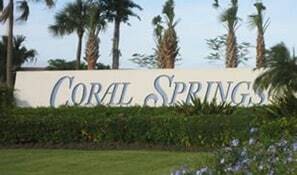 Do you live in Coral Springs? If you were injured in a car accident do you know what to do? Most people don’t – so you are not alone. One step you can take is to call the Coral Springs car accident attorneys at the Wolfson Law Firm. Our South Florida personal injury lawyers have helped car accident victims for more than 50 years and they are ready to help you too. Just call us for your free consultation at 1-855-982-2067. How do you deal with all of it? First you do your homework. You research and ask your family and friends for recommendations of the best Coral Springs car accident attorney that you can find for your case. After you perform your due diligence and you are convinced that you have to best car accident lawyer for your Coral Springs car accident, then you can concentrate on your recovery. Our Coral Springs accident lawyers know what to do. They will work with your doctors. They will retain the personal injury and car accident experts necessary to present your case to an insurance company or a jury. In short, our Coral Springs car accident attorneys will help to create a situation where you can care for your family and work on your journey back to good health. In the end, we will help you get the justice and compensation that you deserve. Jonah Wolfson is the managing trial attorney of the Wolfson Law Firm. 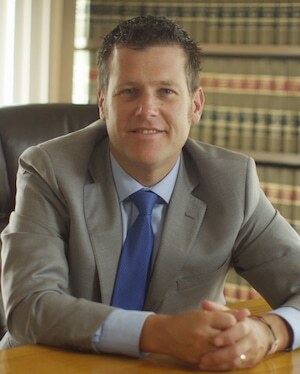 He is a bilingual Coral Springs accident attorney and wrongful death lawyer. Jonah’s personal injury legal team can help you whenever you call. We will fight for you. We don’t refer our cases out for litigation, trial or appeal. When you choose us to represent you after your Coral Springs accident, we will handle your case through settlement, verdict or appeal. Call us at 1-855-982-2067 and we can get to work on your case right now. Our Broward accident lawyers are available by appointment at any of our three offices located in Fort Lauderdale, West Palm Beach or Miami. We can also come to you whenever it is best for you. We proudly serve the good people of South Florida in Broward, Palm Beach and Miami-Dade Counties including the communities of Coconut Creek, Parkland, Margate, Tamarac, Sunrise, Oakland Park, Pompano, Deerfield Beach, Fort Lauderdale, Boca Raton, Wellington and Weston.